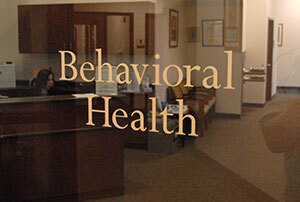 If you or someone you know is seeking help or information regarding Behavioral Health issues, call 708-424-9200, ext. 2118. Poison control can be reached at 1-800-942-5969. Crisis services are available through the Behavioral Health Division, or through 708-681-HELP evenings or weekends. OUR MISSION The Stickney Public Health District, Behavioral Health Division serves to meet the outpatient mental health needs of the residents of Stickney Township. It strives to be consumer-focused in service delivery and has a primary goal of meeting the needs of adults with serious/chronic mental illness and persons who lack the financial resources to pursue care through private practitioners. The Behavioral Health Division also serves as a resource for the community in the areas of public education, referral and advocacy and strives to provide all its services in a cost-effective manner. OUR PHILOSOPHY The Stickney Public Health District, Behavioral Health Division provides a person-centered behavioral health treatment approach that assists the person with focusing on managing symptoms of mental disorders and achieving a positive level of functioning. Through therapy, case management, and psychiatric services, we partner with persons served in establishing individual goals and choosing the best treatment options. 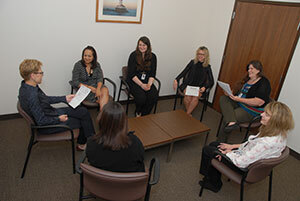 The Behavioral Health Division is accredited and licensed as a Medicaid provider by the State of Illinois. We accept Medicare, Medicaid, private insurance, and offer a sliding scale fee that ensures affordable services to Stickney Township residents. All meetings take place at 5635 State Road in the main conference room and convene at 1:30pm. We provide individual, family, and couples therapy. Call 708-237-8918 to schedule an intake appointment. In one national survey, LGBT adults reported higher rates of discrimination compared to heterosexuals. This is one of the most understood causes of minority stress. The level of victimization and discrimination impacts both mental and physical health. For example, one study showed an increased suicide risk, and another showed higher risks for some types of cancer. LGBTQ youth are also exposed to many minority stressors, such as harassment and discrimination. The result is a strong risk factor for suicide and suicide attempts. Studies have found high rates of victimization among LGBTQ youth. In one nationwide survey, 84.6 percent of LGBTQ youth reported verbal harassment and 40 percent reported physical harassment. This can result in an increase in mental health problems. Combating homophobic attitudes is the key to protecting LGBTQ youth. In addition, studies have also concluded that family acceptance, caring adults, and school safety promote health and well-being of LGBTQ youth. If you have any questions or concerns, contact the Behavioral Health Division at (708)237-8918 for further information. 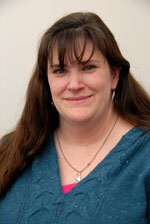 Ms. Antoskiewicz began her service with the Health District as a Clinical therapist in 1998. She was promoted in 2008 to the position of Behavioral Health Director. 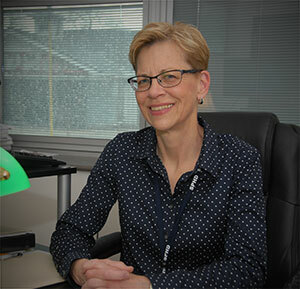 Melinda has led the Division through three successful CARF accreditation surveys (each survey occurs every three years) while maintaining a clinical caseload. A native of Cleveland, Ohio, Melinda moved to the Chicago area to pursue a graduate degree. She earned a Master’s Degree in Counseling Psychology in 1985, and is a Licensed Clinical Professional Counselor. Prior to her position at Stickney Behavioral Health, Melinda was employed with Grand Prairie Services for 8 years. She held the position of Assistant Director of Training and Assistant Director of the Centre for New Beginnings, and was the recipient of the McAfee Award for Excellence in Social Service. Ms. Antoskiewicz brings a rich background of clinical experiences and has a special interest in grief and loss, clinical supervision and services to the LGBT community. Cherity Machnick is a Licensed Clinical Professional Counselor. She completed her clinical training with the Behavioral Health Division in 2001. Upon receiving a Master's Degree from Roosevelt University in 2001, Ms. Machnick began using her clinical training and experience to help residents with serious mental disorders, anxiety and depression. Mrs. Machnick also has experience in the field of Developmental Disabilities, and facilitating therapy groups. She is a resident of the southwest suburbs and enjoys nature and time with her family. 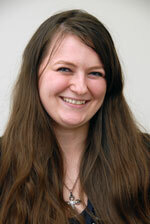 Mrs. Rabianski joined the staff of the Behavioral Health Division as a part-time therapist in July 2013. Fluent in Polish and English, she immigrated to the U.S. with her family when she was 10 years old. She grew up in Central Stickney, where she attended Charles J. Sahs School, and later moved to Burbank where she attended Reavis High School. Mrs. Rabianski earned her Masters Degree in Community Counseling from Argosy University in 2010 where she gained valuable experience working as an intern at Grand Prairie Services. She passed her licensing exam in 2013 and is currently designated as a Licensed Clinical Professional Counselor. Mrs. Zoltek provides therapy services to both Polish and English speaking individuals and has a special interest in working with individuals diagnosed with depression and anxiety. 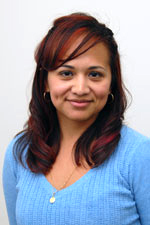 Eloisa Rosales joined the Behavioral Health Division in 2007 as the Division’s first bicultural, bilingual Spanish speaking Clinical Therapist. Ms. Rosales obtained a Master’s Degree in Social Work from the University of Illinois at Chicago in 2007, and is currently a Licensed Clinical Social Worker. Ms. Rosales’ parents migrated from Mexico to the United States in 1980, and she is the first in her family to earn a Master’s Degree. Ms. Rosales previously worked with the DCFS system as a case manager. She also has experience working in a residential setting for individuals diagnosed with severe mental disorders. In her current role as a Clinical Therapist with the Behavioral Health Division, Ms. Rosales provides treatment primarily to children and adolescents, and also Spanish speaking adults. She does, however; provide therapy services to individuals of other ethnic backgrounds as well. Ms. Rosales has facilitated several social skills groups with adolescents, and has provided various workshops for parents including violence prevention and also parenting skills.